New Insights on Preparing Students for Work and Careers – Annual Results 2018 Available! 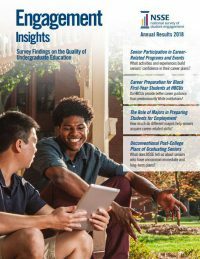 The 2018 release of Engagement Insights: Survey Findings on the Quality of Undergraduate Education, finds that college student readiness for work varies by major and use of career resources. At a time when a college degree and employability are increasingly intertwined, 93% of seniors believe what they are learning in college is relevant to their career paths. In addition, most seniors are highly confident in their career and post-college plans. Notably, confidence is positively related to conversations about career interests with professionals in the field, academic advisors, and family members. Yet while most colleges and universities seek to help their students prepare for success in the workplace, only about half of seniors avail themselves of these resources during their final year. 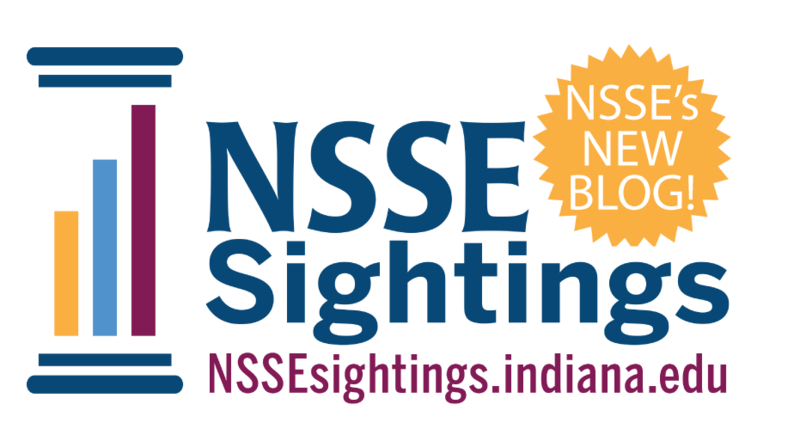 •	Three in five seniors interviewed or shadowed a professional in the field, while about half attended a talk or panel discussion about careers. •	Black first-year students attending historically Black colleges and universities (HBCUs) took greater advantage of career preparation resources than their peers at predominantly White institutions (PWIs), and they also expressed greater certainty about their career goals. •	Science, technology, engineering, and mathematics (STEM) faculty who teach lower-division students at HBCUs discussed careers with students more often than their PWI counterparts did. •	About 9 in 10 seniors believed what they were learning in college was relevant to their career plans, with a modest difference favoring majors in professional fields compared to arts and sciences majors. •	Arts and sciences majors were notably less likely than others to say their career goals had remained the same since beginning college, and they also expressed somewhat lower confidence than other majors in their career plans. •	Senior beliefs about how much their college experiences contributed to career-related skills differed by major. Those in social service professions reported above-average growth in understanding people of other backgrounds, while seniors in communications, media, and public relations were above average on perceived gains in writing and speaking. Majors in engineering and physical sciences reported below-average growth in these areas. The strongest beliefs about growth were in thinking critically and analytically, with few meaningful differences by major. •	Service-learning had the highest participation rate, with about half of first-year students and three-fifths of seniors. About half of seniors had an internship or other field experience. More details about these findings as well as complementary Faculty Insights and stories of institutional data use are available here.